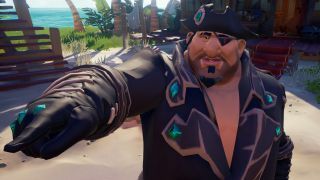 Rare has put together a video taking you through the simple steps required to put together this crew of ne'er-do-wells. Give it a watch below. Getting your crew ready to go is mercifully easy. If you have a physical copy, digital copy or play using the Xbox Game Pass, you'll be able to click on the Friends Play Free section of the website, sign in with your Microsoft account and then receive three codes that you can give to your mates. And then your work is done. At least until you're all on the high seas together, working very hard to fill your ship with treasure chests. I've found Sea of Thieves quite a bit improved since I last played, and I think I'm finding myself now in agreement with Tyler. Sea of Thieves is still full of potential. You can start inviting your friends today.